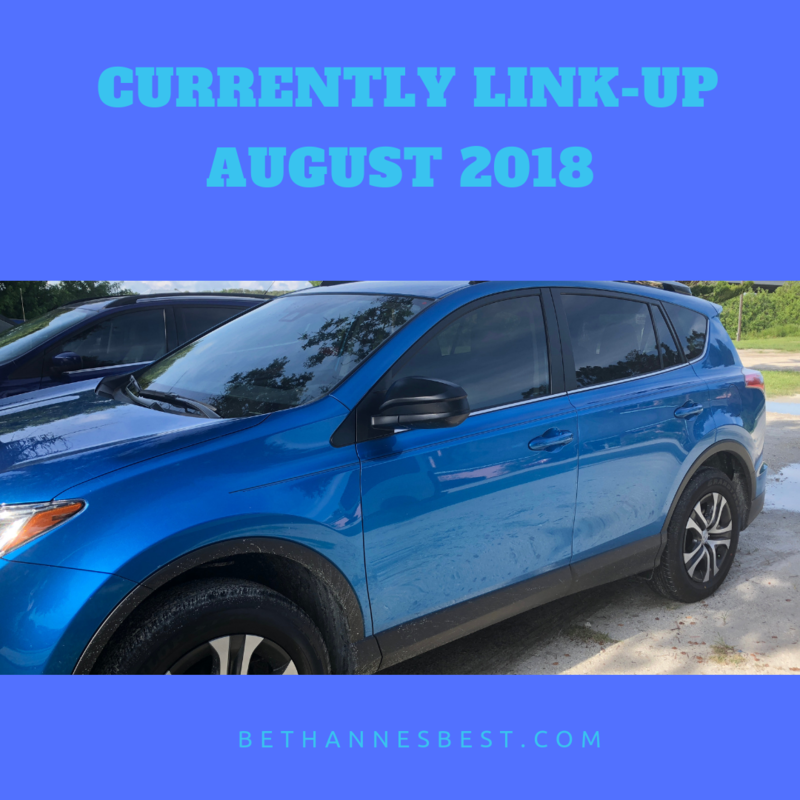 Welcome to another CURRENTLY Link-Up! Happy September, Is it Fall Yet?!!? BUYING: I bought a new car! My lease was about to be up in November and I finally just bought a car to get out of the leasing cycle. 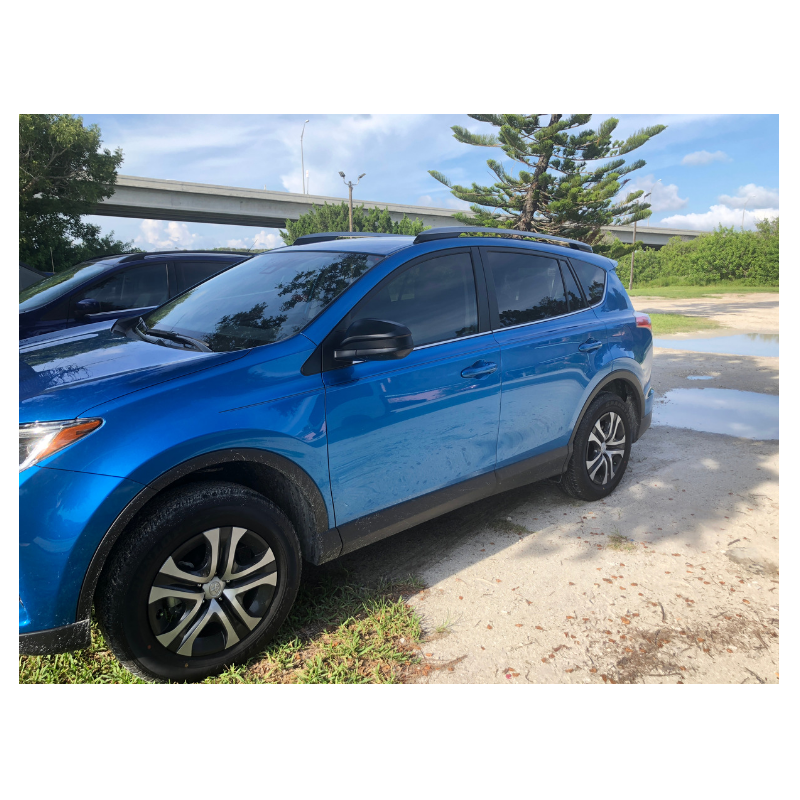 I got a BLUE Toyota Rav 4! I think it’s a pretty color and different. And I love all the trunk space and the hight level which will come in handy when we have a baby *god willing*. SHARING: Fun Youtube Videos. Any time I like a youtube video it gets tweeted out. So here are all the videos I have been liking. READING: I bought Jennifer Fulwiler’s new book One Beautiful Dream (it came out in April) over the summer when it was only $1.99 on Amazon for the Kindle Edition. I am trying to get to reading it in the near future. Everyone says it’s a great book. RECORDING: Crazy Instastory rants about my hate for the “Cold Shoulder” Trend. LOL I know it’s cute on some people but it’s just EVERYWHERE lately. I was watching a Reality show…okay it was 90 Day Fiance and everyone on one episode was wearing those shirts it was almost comical. I’m also working on making Quickbooks How-To Videos on my Youtube Channel. I know exciting stuff. I still have 100 pages left in my Bullet Journal and I like to start the new year with a new journal so thinking of things to fill in my current one with. So far I have a lot of lists of Quotes, Movies I want to See, and Caligraphy words. Did anyone feel like August just flew by? Like wasn’t it just July? Started a new Bible Study/Young Adult group.